Chino Hills is a Los Angeles suburb located in the southwestern corner of San Bernardino County, California, United States. The city borders Los Angeles County on its northwest side, Orange County to its south, and Riverside County to its southeast. The city had a population of 74,799 at the 2010 census. Chino Hills was ranked 68th in Money Magazine’s “Best places to live 2005.” It is also the 6th highest income place in the United States (with population 65,000 to 250,000) and was ranked as the 13th safest city in the United States in 2008 by the FBI. Chino Hills is a part of the Chino Valley. Due to its topography of rolling hills, Chino Hills was primarily rural prior to the mid 1970s; most land was utilized for equestrian purposes and for dairies, except for the multi-use purposes of the State of California, promoting jobs for your community through day labor from the Chino Institute for Men on Central Avenue. Rapid and extensive housing developments followed throughout the 1980s and early 1990s, only slowing down in recent years. Most neighborhoods are arranged in a village-type format with strategically placed shopping centers and parks designed to be within walking distance of nearby homes, primarily because of a lack of gasoline stations and other amenities and the town center is only a short 5 mile hike to the neighboring community of Diamond Bar which has amenities. Chino Hills is also the location of The Shoppes at Chino Hills. The mall features over 65 upscale stores and restaurants, including San Bernardino County’s first H&M. 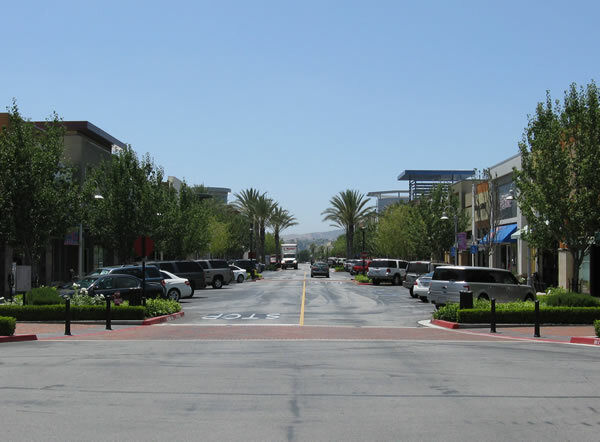 The Shoppes is designed to be “Main Street Chino Hills” featuring the Chino Hills Government Center and Library in addition to retail outlets. Boys Republic High School – a treatment center for troubled boys ages from 12 – 18. California State Polytechnic University, Pomona (Cal Poly Pomona) – Closest 4-year public university. Old-Fashioned Fourth of July Picnic – Hosted every year, the city recreation department puts on a fun and free event for the community to come out and enjoy on the Fourth of July. Crafts, inflatables, food, etc. Chino Hills Boat Parade – The Chino Hills Boat Parade is a unique event held each year around the holidays. Organized by the local Kiwanis, residents decorate and drive their boats through the neighborhoods over a period of two days. Concerts in the Park – The city sponsors a group of concerts each summer, including local entertainment from all genres. Generally there are 10 events held in the evenings each summer, with thousands of residents in attendance. Movies in the Park – During the summer various movies are shown at night. Movies are family-friendly and free. All information about Chino Hills courtesy of Wikipedia.